Bob Pierce. ©2013 World Vision. Bob became a Christian at age 12. He later become his youth group’s president. After preparing for the ministry at Pasadena Nazarene College, Bob married Lorraine and they had three children. Bob became an evangelist in the Youth for Christ movement in and around Los Angeles. In 1944, Bob and eleven other young evangelists, including Billy Graham, launched Youth for Christ as a national organization. Bob took the message into Asia where God set the future course of Bob’s life. 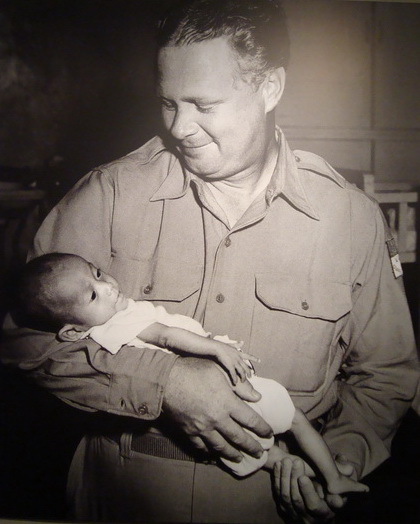 Bob Pierce holding an orphaned child. ©2013 World Vision. 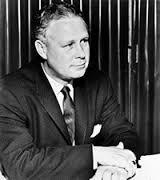 Bob established World Vision in 1950. The young evangelist made films that showed the need overseas, then presented the films in churches to spread awareness. The Korean War ended in 1953. That was Bob’s cue to initiate a monthly support program for that country’s orphaned children. In the late 1950s, World Vision reached into other parts of Asia. In their second decade, the ministry expanded to include disaster relief to other nations. In 1967, poor health caused Bob to resign from World Vision. The ministry he began continued growing. Today, World Vision has a presence in over 100 countries. Its children sponsorship program and its relief services around the world are larger than ever. World Vision has gained America’s favor; it’s one of the top 10 charities in the United States (http://www.forbes.com/top-charities/list/). 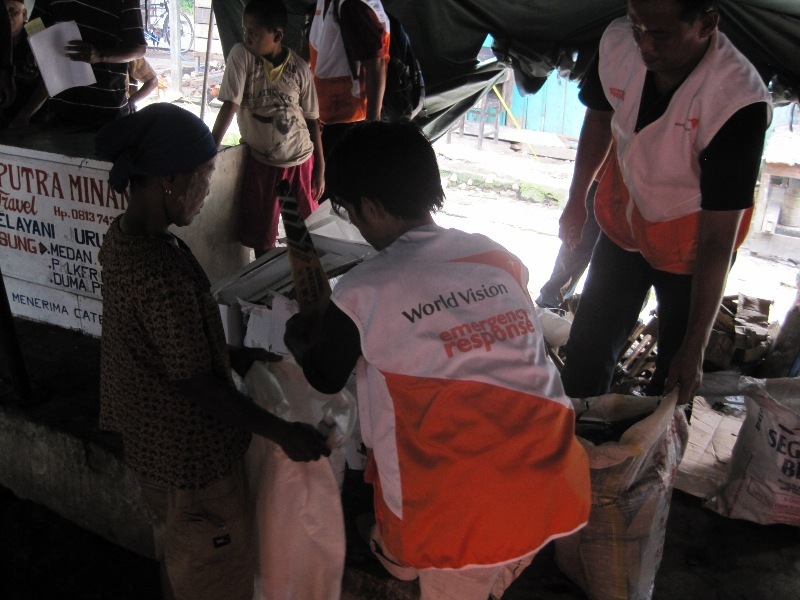 World Vision workers providing food. ©2013 World Vision. Bob’s second idea for a Jesus-minded organization came twenty years after he founded World Vision. Samaritan’s Purse gets its name from Jesus’ parable of the Samaritan who gave generously to help a man in need he saw on the roadside (Luke 10:30-37). Today, when disaster strikes anywhere around the world, Samaritan’s Purse responds with food, clean water, medicine, and shelter. Samaritan’s Purse provides food and drinkable water after disasters. © 2013 Samaritan’s Purse. All rights reserved. Used with permission. When Bob died of leukemia in 1978, the baton for President of Samaritan’s Purse passed to Franklin Graham. The two men had spent the previous five years working together. 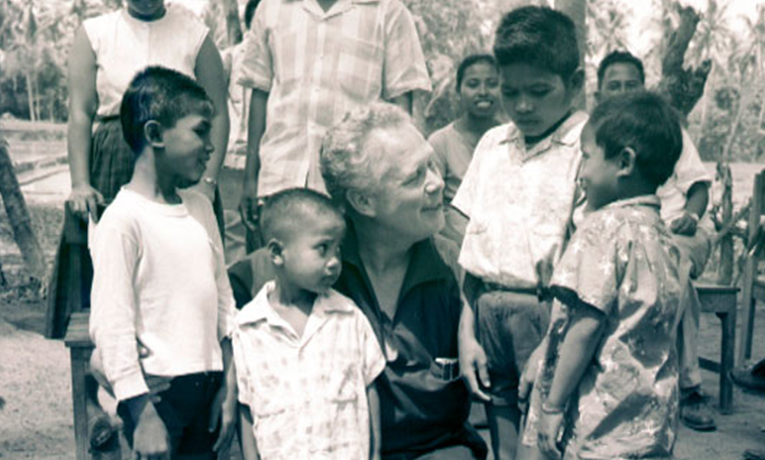 World Vision and Samaritan’s Purse are Bob’s great legacy to a needy world. Bob represented Jesus well by establishing two vital organizations that care for children and adults in need. Sadly, while doing great things for God in other countries, Bob’s family in America fell apart. Bob Pierce. 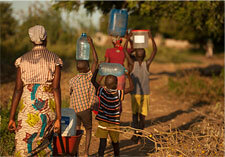 © 2013 Samaritan’s Purse. All rights reserved. Used with permission. Bob’s marriage ended in divorce. Although she and her siblings lacked their father’s presence in the home as they grew up, Bob and Lorraine’s daughter Marilee now works for World Vision. L4G—————————————————-L4G—————————————————–L4G LET ME KNOW: How has Bob’s story informed, encouraged, or otherwise helped you? I welcome your comments. Stafford, Tim. Imperfect Instrument. Christianity Today, February 24, 2005. http://www.christianitytoday.com/ct/2005/march/19.56.html. Temple, Todd and Kim Twitchell. People Who Shaped the Church. Wheaton, Illinois: Tyndale House Publishers, 2000. Whitlock, Mark. White Jade: The Story of the First sponsored Child of World Vision from Give Me A Lion’s Heart (blog). Graham, Franklin. Bob Pierce: This One Thing I Do. W Publishing Group, 1983. Pirece-Dunker, Marilee. Days of Glory, Seasons of Night. Grand Rapids, Michigan: Zondervan Publishing, 1984. Pirece-Dunker, Marilee. Man of Vision. World Vision, 2005. Videos about places World Vision has impacted: http://www.youtube.com/results? search_query=world+vision&oq=world+vision&gs_l=youtube.3..0l10.86393.89737.0.89926.12.8.0.4.4.0.312.1960.2-7j1.8.0…0.0…1ac.1.11.youtube.C97eC4wrepM. Videos about places Samaritan’s Purse has made a difference: http://www.youtube.com/results?search_query=samaritan%27s+purse&oq=Samaritan%27s&gs_l=youtube.1.0.0l10.159267.163276.0.165909.11.8.0.3.3.0.321.1887.0j2j5j1.8.0…0.0…1ac.1.11.youtube.nBG723Xxz0M. This entry was posted in Evangelist, Social change agent. Bookmark the permalink.